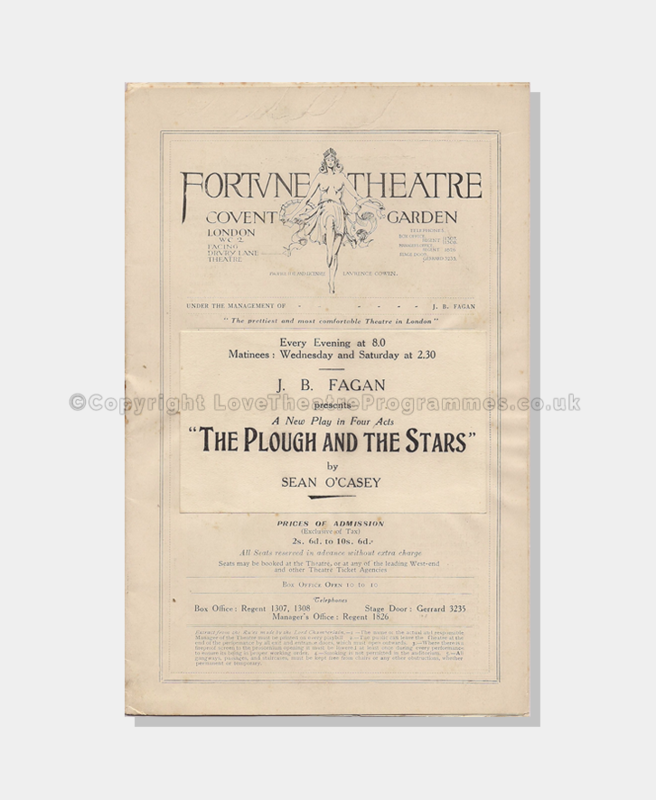 This is an interesting programme which contains a history of the theatre complete with photographs and a replacement production from that originally intended. 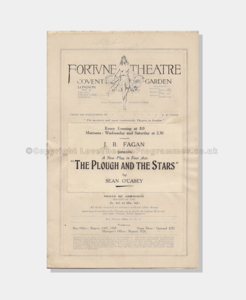 The Plough and the Stars was first performed in Dublin in February 1926 and here in May 1926. 10 pages including front and back covers; small size printed in black ink on white/ cream paper. 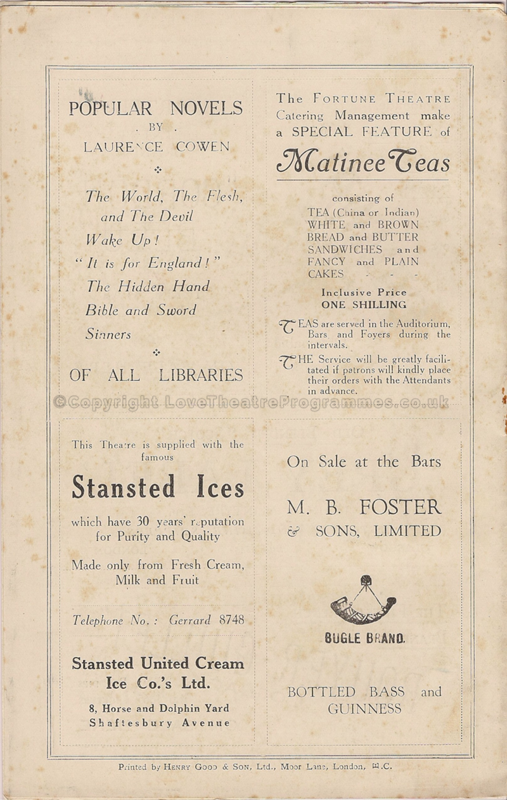 Condition Code: 4: Some foxing and a small tear on page two – on the back of the replacement paper for the title. There is also some rusting to the central staple but otherwise good condition.